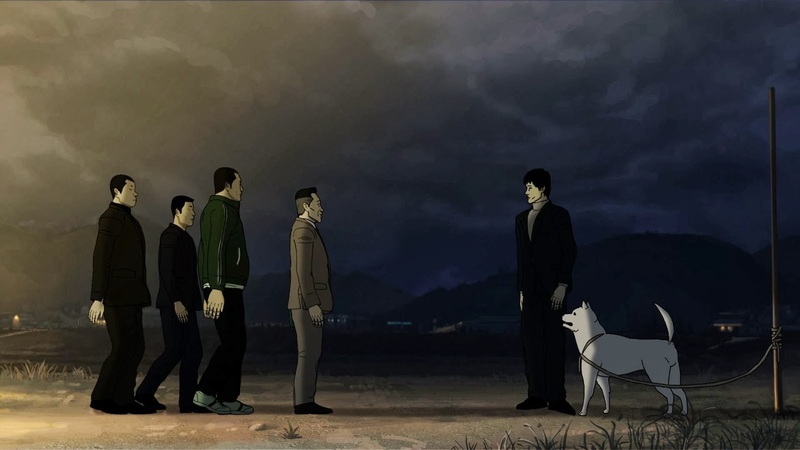 In 2011, the young Korean animation director Yeun Sang-ho burst onto the scene with The King of Pigs, a brutal and bleak examination of the hierarchical and pervasive bullying inherent within the Korean high school system. Bereft of the flights of fancy of Studio Ghibli or the nostalgia of Pixar, Yeun's particular style of animation is unadorned, gritty and almost simplistic. Though animated, it feels real and perhaps because the approach feels so novel, its effect is very strong. This year, Yeun returns with The Fake, a film that shares a great deal in common with his debut, yet manages to burrow to deeper, darker truths. A town is deemed to be submerged to make way for a dam. The villagers all receive compensation packages and a man comes to town and sets up a religion, promising them all salvation and a path to heaven, if only they can part with their recent windfalls. An aggressive man returns to town, terrorizes his family, gets into fights and insults every person he comes across. When he meets the church leader he recognizes him as a fraud but, sick of his drunken rants and spiteful tongue, his fellow villagers are no longer interested in what he has to say. If The King of Pigs was bleak, then The Fake must be harrowing, so hopeless its narrative is and desperate and pitiful the characters that populate it are. Yeun doesn't paint a pretty picture of his home country and one could easily be forgiven for labeling him as a committed pessimist. Yet, though the narrative feels pregnant with rage, his approach never seems to be colored with anger, rather his touch is marked by a sadness, a resignation in the face of a sordid and entrenched state of affairs. 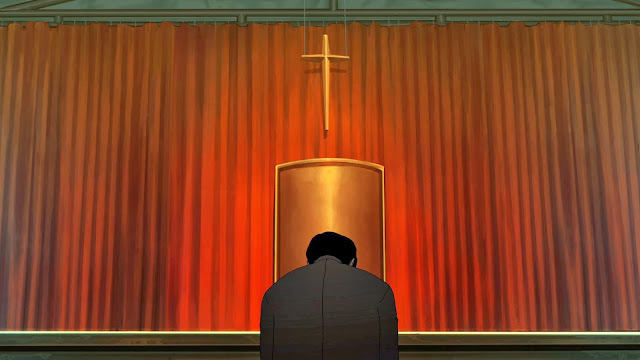 The film opens with a young pastor, who is either already grappling with his conscious or about to, as he commiserates with a stray dog. When the leader of the fake religion he's found himself sermonizing for grabs him to start the show, the helpless animal is killed off by goons with a blow to the head, to be readied for a post-service stew. 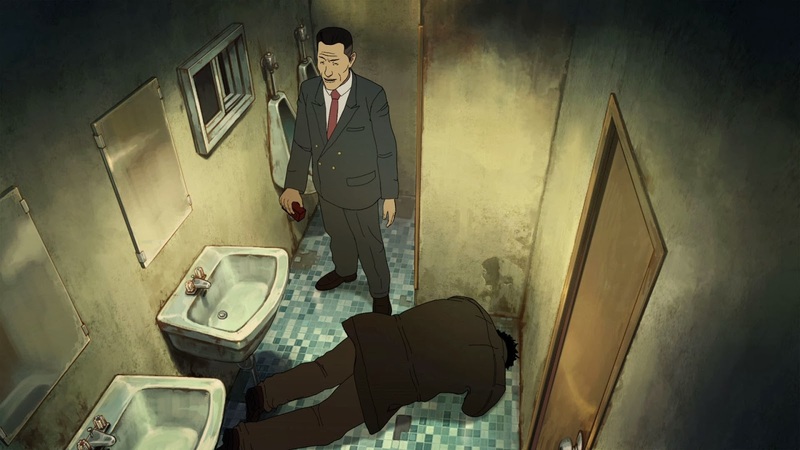 This short scene sets the tone for the narrative: simple, direct, bleak and hard-hitting. In The Fake, characters would rather ignore the horrible things happening around them rather than stand up and take responsibility for their apathy. As many of us are often guilty of the same behavior, this intro is extremely powerful. Throughout the film, a veritable kaleidoscope of themes (or is it horrors) is explored. Religion, small town politics, forced prostitution, hierarchy, degenerate alcoholism and gambling and much else besides gets thrown under the loop. 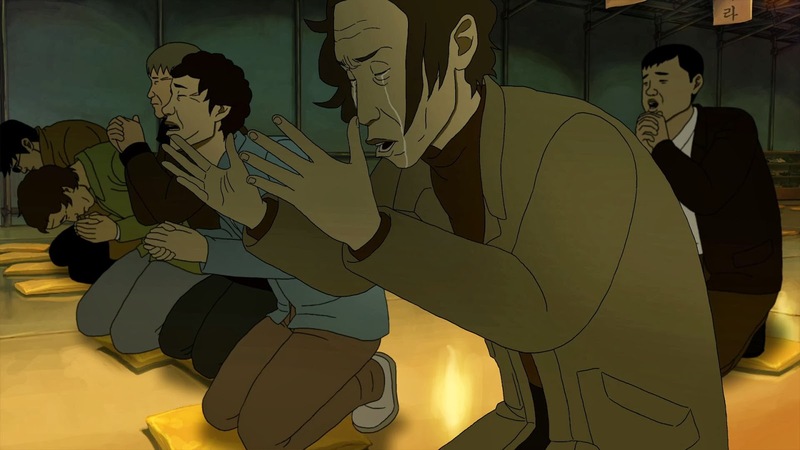 When things seem to have gotten to their worst point, Yeun torments us by dragging us to even further depths. It's almost overwhelming but it's never less than devastating and effective. Though The Fake goes further and explores a much wider swath of societal ills, it is very similar to The King of Pigs. As such it is unlikely to convert those were put off by his debut, because let's face it, this style of filmmaking is not for everyone. However, for those in his camp and the uninitiated, his new outing isn't just more of the same. With tweaks here and there, a bit more sophistication and by delving a little further into the belly of the beast, The Fake improves on what was already an electric debut.